Find below the list of top schools in Sowripalayam - Coimbatore with phone number, address, 360° School tours, 2018-19 Admission forms & Fees, photos, facilities & more. 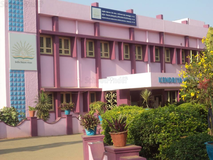 Kendriya Vidyalaya is one of the leading Co Education School in Coimbatore. 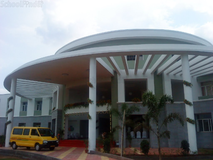 We have been in this field for past 30years and our school is located at Sowripalayam in Coimbatore. In our school we have well qualified teachers who educate students as per there capability. You may also be interested in other schools of Coimbatore. Innumerable and innovative concepts,An array of extra-curricular activities,Facilities for Indoor & Outdoor sports and games,Etiquette and value based education, Contests at Intra and Inter level,A broad outlook to encounter the competitive world;All these liberate us to bloom, blossom and thrive in order to become well-groomed personalities. Bala Vidya Mandir, our mentor school enjoys a justifiable reputation among schools in Chennai, for its balanced approach to education. In BVM, Indian tradition and Western liberalism achieve a harmony. Students imbibe not only the knowledge reflected in their studies, but also a self confidence that stands them in good stead in the outside world. NISE is a school with a difference. We place great emphasis on academic brilliance but equally we give children the power to stand up for themselves, evolving to caring, confident citizens and do the nation proud. Kikani Institutions has carved a niche in the field of education for the past 6 decades. Soaring high with countless accolades, Kikani Towers up in its endeavours towards the cause of education. 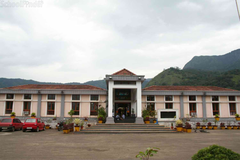 The Alvernia Matriculation Higher Secondary School (AMHSS) in Coimbatore, Tamil Nadu, India is an educational institution under the government of Tamil Nadu. It was started by the sisters of the Franciscan Clarist Congregation, followers of St. Francis of Assisi and his follower St. Clare. The school motto is Per Aspera ad Astra (Success through difficulties). Timeline: • 1966 - June 20 - School started. • 1969 - June 23 - Recognition of the school. • 1973 - First batch of students pass out. • 1973 - Home for the aged started. • 1978 - Upgraded to Higher Secondary. • 1983 - Then Principal Rev. Sr. Jane Frances was given the State award for the best teacher. • 1984 - Retirement of Rev. Sr. Jane Frances. Rev. Sr. Adelaide takes over as Principal. • 1991 - Silver Jubilee year. 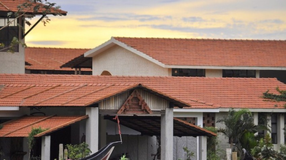 ACHARIYA group of educatonal institutions houses top quality schools and colleges in Puducherry. ACHARIYA Bala Siksha Mandir is one among them under roof of “ACHARIYA”. ACHARIYA Bala Siksha Mandir was founded in the year 2002. Ever since, we have been registering a steady growth in student intake from 16 to 1200 at present. 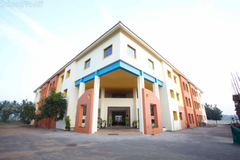 Within a short span of 10 years the institution enjoys the reputation the most sought after school in Puducherry. This growth could not have been accomplished but for our M.D’s vision and ceaseless efforts. The Educational Design, Methodology, Infrastructure and Systems adopted in ACHARIYA focus entirely on the holistic development of your child. Our institution aims to equip the child to meet the challenges of the 21st century with vigour, confidence and knowledge for universal applicability. The shift from rote learning to skill development is the prime focus. Learning at the Kindergarten is designed to be an enjoyable experience for children, thus making them want to come to school every day. By increasing student interest, by making learning fun but meaningful, we lay the foundation for developing a lifelong interest in learning. Children learn through playing games, songs, sports and creative activities. Kindergarten creates an atmosphere where children feel respected and secure by providing a place of warmth, fun, joy and laughter for the little ones. Children are taken out on a nature walk where they observe the beauty of God’s creation. Coimbatore is one of the top notch cities of India located in Tamil Nadu and is also popular in the name of Kovai. Coimbatore proved it to be one of the education-wise advanced cities of India. 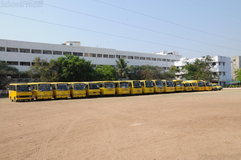 There are many Top schools in Coimbatore which make the presence of the city distinctly in the Indian education system. To find the best school Coimbatore you can go through the list of best schools in Coimbatore for making the right selection for your kid's education. Are you worried about your child's admission to a school? Worried about interviews in the best schools in Sowripalayam - Coimbatore? All it takes is a little bit of planning and going for a lot of options, which can be found on Sqoolz's list of best schools in Sowripalayam - Coimbatore. The top schools in Sowripalayam - Coimbatore are registered with us. Find all their details - location, address, fee structure, facilities and more! Also take our virtual tour, a feature that gives almost a first-hand experience to parents.